Working at the "White House"
A bunch of friends in Silicon Valley have asked some version of “what was surprising to you in government?” or “what did you learn about government?” This is one of a series of posts answering those questions. One of the confusing things people say in D.C. is that they “work at the White House.” That can mean one of a bunch of different, true things. Only a few are what you might expect. You work for the President at the White House. 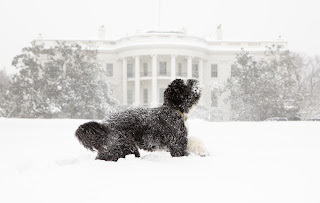 And by that I mean the building that is white, looks like a house, is where the first family live, and is pictured above in the snow behind Bo. There are a bunch of people who work in the actual house part of the White House and many others who are there for periods of time for their jobs, such as the Secret Service agents assigned to the house (the Secret Service agents have some of the hardest jobs and are in each of the spaces listed below as well). You work in the West Wing, which is attached to the thing that is an actual house. 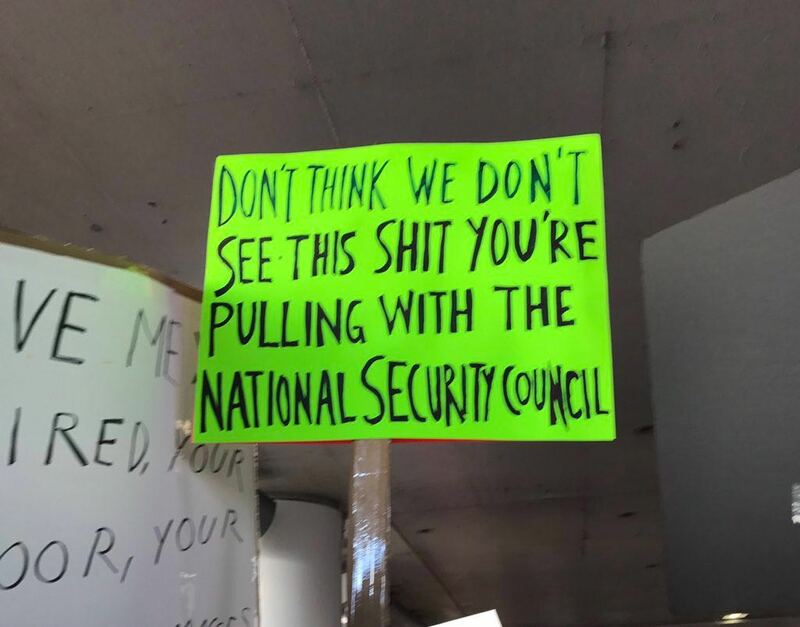 There are a bunch of offices of high ranking people and their staff who are part of the Executive Office of the President or Vice President, as well as White House Situation Room personnel and others in the West Wing of the White House. You work for the President or the First Lady in the East Wing (attached to the other side of the house). You work elsewhere on the complex, perhaps for the Executive Office of the President or the Vice President. The majority of these people actually work in the Eisenhower Executive Office Building, which is an incredible building but neither white, nor a house. Up until a few weeks ago, I worked in the Office of the Chief Technology Officer within the Office of Science and Technology Policy in the Executive Office of the President and was physically located in the Eisenhower Executive Office Building. You work elsewhere as part of the Executive Office of the President (or VP). Many of these folks are in the New Executive Office Building. And, while the U.S. Trade Representative (USTR) is technically part of the Executive Office of the President, I don’t know whether USTR people say that they work at the White House. The above are all “true” as far as D.C. is concerned. There are also a lot of people who say they work at the White House but are just lying. A bunch of friends in Silicon Valley have asked some version of “what was surprising to you in government?” or “what did you learn about government?” This is the first of a series of posts answering those questions. Most policy within the Obama White House was decided through policy councils, and their Principals, Deputies, and Interagency Committees. These are both specific groups of people (similar to Boards of Directors at companies) and also can be departments that are staffed within the White House (similar to business units within companies). What each council decides and the membership of the various councils are important determinants of the quality of decisions and what policy can be advanced. This post gives some background about a non-exhaustive list of policy councils, their jurisdiction, and their membership with a focus on those relevant to tech policy. One important note is that the Obama administration found it useful to ensure that tech and scientific expertise had its own council-like apparatus and had seats at each of the other policy making tables so that policy decisions could be informed by the latest technical and scientific innovations. The Trump administration has signaled that it also believes that tech is important to effective governance and now is the time that administrations typically begin to formalize how they make decisions as well as the jurisdiction, membership, and attendees of their various councils (indeed the President Trump just did so for the National Security Council -- see this earlier post for more on the changes and why they are bad). Inside and outside of the administration it is important to understand these powerful policy levers and structure them to be most effective. Today, given the importance of technology and science to policymaking of all types, that means including technical and scientific expertise at each of these tables. It is led by the President of the United States or their delegate and must include the Vice President and Secretaries of State, Defense, and Energy but it can include others either at all meetings or only when germane. President Obama gave direction as to its jurisdiction, decision making processes, and membership in his first Presidential Policy Directive (PPD-1) published less than a month after his inauguration. Reading PPD-1 gives a good sense of how policy councils operate, with principals, deputies, and interagency committees all working to produce policy decisions. NSC was the most important and largest of the councils during my time in government. 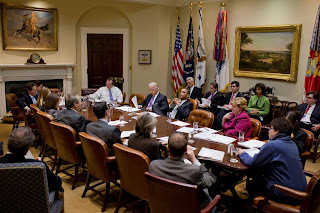 Its staff were experts at running effective process and went on to become important members of the Office of the Chief of Staff, including the Chief of Staff, Denis McDonough; his advisor and Deputy Assistant to the President, Natalie Quillian; and the Deputy Chief of Staff for Implementation and Assistant to the President, Kristie Canegallo. Getting a seat for an NSC decision meeting on an important topic could be difficult as NSC staff tried to keep the decision making tight. However, being there was extremely important and, depending on the decision, getting tech expertise in the room could be the difference between making one decision and another. It is led by the President of the United States or their delegate and includes the Vice President a wide range of agency heads, leads of White House components, and Assistants to the President. President Obama expanded its membership to add more members, including the U.S. Chief Technology Officer. It is led by the President of the United States or their delegate and includes the Vice President a wide range of agency heads, leads of White House components, and Assistants to the President. President Obama also modernized the makeup of the DPC, including adding the U.S. Chief Technology Officer to its membership. (1) to coordinate the science and technology policymaking process; (2) to ensure science and technology policy decisions and programs are consistent with the President’s stated goals; (3) to help integrate the President’s science and technology policy agenda across the Federal Government; (4) to ensure science and technology are considered in development and implementation of Federal policies and programs; and (5) to further international cooperation in science and technology. It is led by the President of the United States or their delegate and includes the Vice President a wide range of agency heads, leads of White House components, and Assistants to the President. President Bush added the Secretary of Homeland Security. NSTC was active during the Obama administration under the leadership of the President’s Science Advisor, Dr. John Holdren. The Tech Policy Task Force (TPTF) is a Executive Office of the President (EOP) policymaking body formed during the Obama Administration to develop tech policy and advise other policy councils. It is chaired by the U.S. Chief Technology Officer and its membership includes the leadership of each of the technology components within the EOP (e.g., the Federal Chief Information Officer, the U.S. Digital Service Administrator, etc.) as well as representatives from each of the other policy councils. In contrast to other councils, more than half of TPTF membership is drawn from tech components. leadership, such as with respect to cybersecurity and the Cybersecurity National Action Plan. the NSC, to enhance their work with tech expertise. Abramson, Mark; Wagner, Martin; Breul, Jonathan; Kamensky, John; and Chenok, Daniel editors, Getting It Done A Guide for Government Executives, Revised Edition, Rowan & Littlefield (2013) (See Chapter 8 for a detailed description of policy councils). Sargent, John & Shea, Dana, Office of Science and Technology Policy (OSTP): History and Overview, Congressional Research Service (2016) (providing an overview of the Office of Science and Technology Policy, NSTC, and the President’s Council of Advisors in Science and Technology). N.B. This post was mostly written before President Trump’s NSC organizing Memorandum last Saturday which caused me to write a summary of the bad changes he made to the NSC that duplicates some language from this one. Update 1/31/17: This post was updated to make the relationship between Councils and Principals, Deputies, and Interagency Committees more clear. The memo is a big deal. Here’s why, but first a bit of background. Certain structures for decision making in the White House are called policy councils. There are many policy councils, each covering different types of policy, such as domestic, economic, or national security. 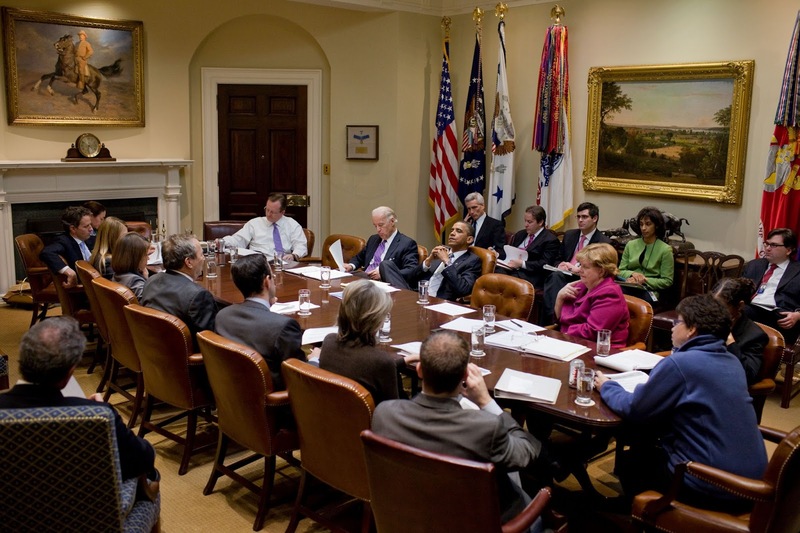 Policy councils are both specific groups of people (similar to Boards of Directors or Advisers at companies) and also can be departments that are staffed within the White House (similar to business units within companies). What each council decides and the membership of the various councils are important determinants of the quality of decisions and what policy can be advanced. By statute, it is led by the President of the United States, or their delegate, and must include the Vice President and Secretaries of State, Defense, and Energy but it can include others either at all meetings or only when germane. President Obama gave direction as to its jurisdiction, decision making processes, and membership in his first Presidential Policy Directive (PPD-1) published less than a month after his inauguration. Reading PPD-1 gives a good sense of how policy councils operate, with principals, deputies, and interagency committees all working to produce policy decisions. During the Obama Administration, the NSC was extremely important to the vast majority of policy decisions. 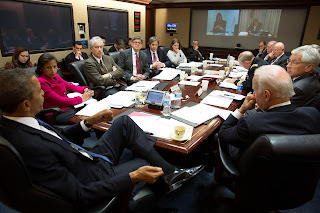 Its staff were experts at running effective process and went on to become important members of the Office of the Chief of Staff, including the Chief of Staff, Denis McDonough; his advisor and Deputy Assistant to the President, Natalie Quillian; and the Deputy Chief of Staff for Implementation and Assistant to the President, Kristie Canegallo. Getting a seat for an NSC decision meeting on an important topic could be difficult as NSC staff tried to keep the decision making tight. However, being there was extremely important and, depending on the decision, getting specific expertise in the room could be the difference between making one decision and another. Techies in government argued strongly for tech expertise to be represented, but that will be the subject of another post with more background about other councils. On Saturday, January 28, President Trump, issued National Security Presidential Memorandum 2 to set up the way the NSC would work. It is normal for a new President to issue this type of memo to detail how their NSC will work. However, President Trump made one important change that I think is massive and not good. He put his political strategist, Steve Bannon on the NSC. That gives politics a literal seat at the table when the U.S. government is making decisions about national security. Worse yet, it gives a person who puts other concerns over national security a way to influence every NSC decision. That is extremely bad both in terms of the substance and optics of those decisions. For other takes on the decision, including whether or not changes involving the Joint Chiefs of Staff and the Director of National Intelligence are a big deal, see: Lawfare (which I think correctly downplays those changes and gives some description of other more minor changes), The Atlantic, and Ambassador Rice’s twitter. Finally, it is important to note that some policy bypasses the NSC entirely. This is reportedly what happened with the immoral, illegal, and extremely poorly drafted Immigration Executive Order (for more on that, see Benjamin Wittes). No amount of proper NSC structure can protect us from that.